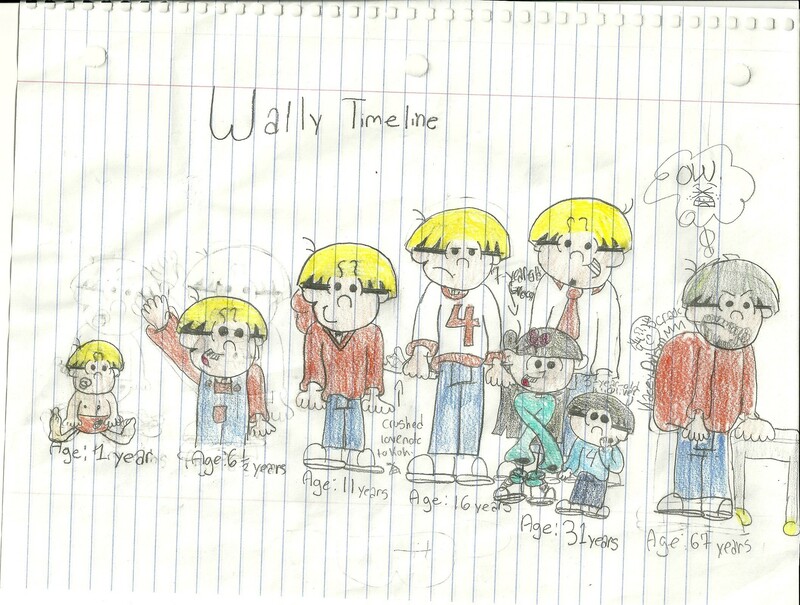 Wally Timeline (Wally Throughout the Years, Watch Wally Grow). Includes 1 año old, 6 and a half years old, 11 years old, 16 years old, 31 years old, 67 years old. Bonus! Kuki and Wally spawn Gracey and Oliver.. HD Wallpaper and background images in the Codename: Kids siguiente Door club tagged: codename kids next door knd characters cartoons sector v.
This Codename: Kids siguiente Door fan art might contain animado, cómic, manga, historieta, anime, and dibujos animados. 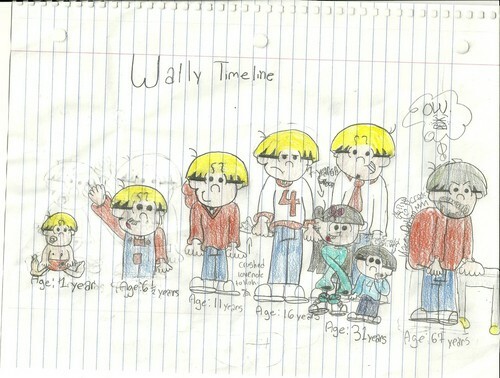 So I drew a Wally timeline. Wally throughout the years. Yes. 1-year-old Wally: has a pacifier, and an orange diaper. 6-and-a-half-year-old Wally: orange shirt, overalls, and is missing a tooth. AWESOME!!!!! Aw, little WallyxKuki kids! 10 Great Reasons to watch Codename: Kids siguiente Door!